Yik Yak is a popular app among many college and university students. The app is a location-based network that helps people connect with others around them. However, the app differs from Twitter and Facebook in that users are able to post on the app anonymously and must be within a certain radius to see the posts. Only users who are seventeen and older are allowed to use the app, and the company actively blocks middle and high schools from Yik Yak by using geofences. 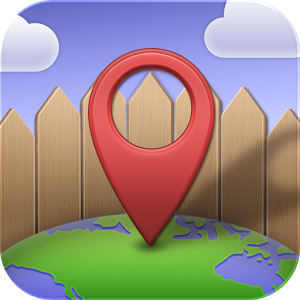 Geofencing is a method of placing boundaries based on location, and depending on where you fall in said boundary you are either able to use the Yik Yak app or not. Due to the anonymity of the app, users feel free to post whatever they are currently thinking, and sometimes these posts lead to cyberbullying. But, Yik Yak takes cyberbullying very seriously, and asks that users screenshot and “downvote” the post before reporting the post. Once the yak has been reported, it is removed from the user’s feed and if the yak violates Yik Yak’s rules the user who posted the yak is suspended and the yak is removed from all feeds. Protecting unpopular ideas, however, does not mean that threatening language is protected. True threats of violence are constitutionally unprotected, but true threats are not the only things being posted on Yik Yak. People post about what the dining hall is serving, or about a tough breakup they are going through. To block an entire platform designed for people to express their thoughts and opinions simply because some posts on the app are unpopular is contrary to the spirit of the First Amendment. As such, implementing a geofence to ban Yik Yak on college campuses would likely be held as unconstitutional, regardless of whether the university is public or private. See About, Yik Yak, https://www.yikyak.com/about (last visited Nov. 13, 2016). See Tasnim Shamma, Yik Yak Tests Universities’ Defense of Free Speech, NPR (Jan. 23, 2016), http://www.npr.org/sections/alltechconsidered/2016/01/23/463197593/yik-yak-tests-universities-defense-of-free-speech. See How Do You Prevent Children From Using Yik Yak?, Yik Yak, https://www.yikyak.com/support/faqs/sections/201022049/204565809 (last visited Nov. 13, 2016). See Shamma, supra note 2. See Adam Steinbaugh, The Futility of ‘Banning’ Yik Yak on Campus, The FIRE (Feb. 22, 2016), https://www.thefire.org/the-futility-of-banning-yik-yak-on-campus/. See I’m Being Bullied/Targeted, Yik Yak, https://www.yikyak.com/support/faqs/sections/201022049/205758949 (last visited Nov. 13, 2016). See Steinbaugh, supra note 5. See Nathan Rubbelke, Campuses ‘Symbolically’ Ban Yik Yak as Battle Over App Rages, The College Fix (Oct. 21, 2015), http://www.thecollegefix.com/post/24735/. See Tyler Kingkade, Students Dip Into Their Data Plans to Get Around College’s Yik Yak Ban, Huff Post (Apr. 12, 2016), http://www.huffingtonpost.com/entry/illinois-college-banned-yik-yak_us_570d0bb7e4b0836057a25ad7. See College of Idaho Tries to Ban App Yik Yak on Campus, Wash. Times (May 15, 2015), http://www.washingtontimes.com/news/2015/may/15/college-of-idaho-tries-to-ban-the-app-yik-yak-on-c/. Geofence Request, Yik Yak, https://www.yikyak.com/support/requests/geofence (Nov. 13, 2016). McIntyre v. Ohio Elections Comm’n, 514 U.S. 334, 357 (1995). See Eugene Volokh, National Coalition in Favor of Campus Censorship, Wash. Post (Oct. 26, 2015), https://www.washingtonpost.com/news/volokh-conspiracy/wp/2015/10/26/national-coalition-in-favor-of-campus-censorship/.